Originally when planning what press car I wanted to take up, around and back from Monterey, I wanted to go with something exotic so as to blend in with the rest of the traffic. 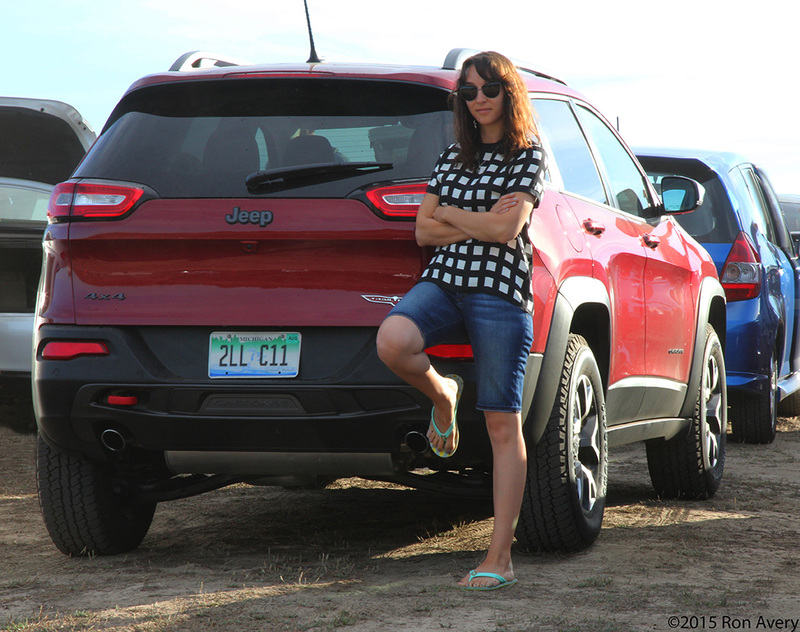 Getting one was the hard part and in the end I went with a 2015 Jeep Cherokee TrailHawk. Looking back I’m much happier with this choice. 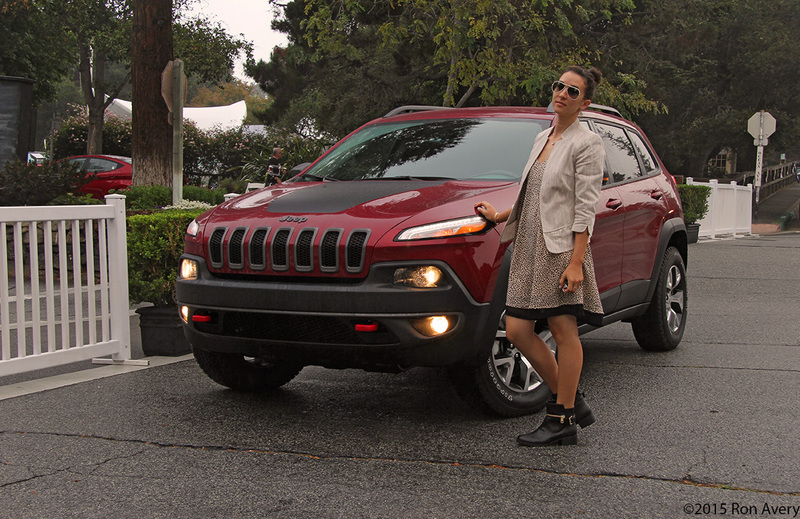 This TrailHawk is equipped with a 3.2 L V6 mated to a 9-speed automatic transmission. Driving well over 500 miles in the Jeep I never felt that it lacked power or was weak on the performance end for what I was using it for. Thanks to the cars massive gas tank I only needed to fill it up three times from start to finish of the trip. I wasn’t a big fan of the transmission as you have to put it in Sport mode for the revs to actually significantly change when going down hill. It was a joy to have in traffic as there was no clutch to operate and it idled quietly. 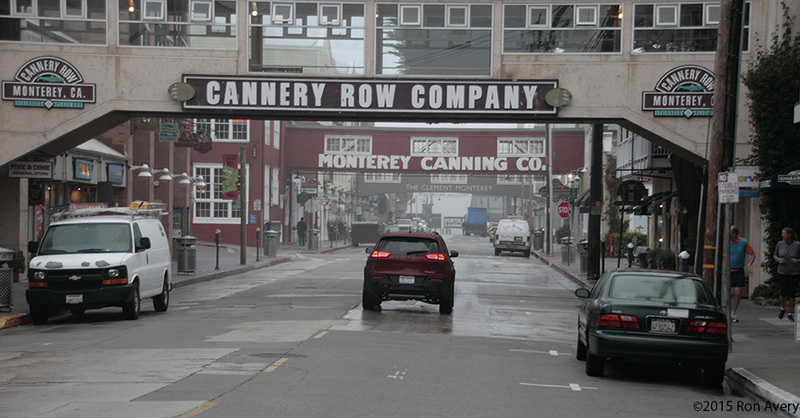 Parking around Monterey was easy as well thanks to the Jeeps off-road nature helping to make the horrible lots at Laguna Seca Raceway and other locations less of a nightmare. 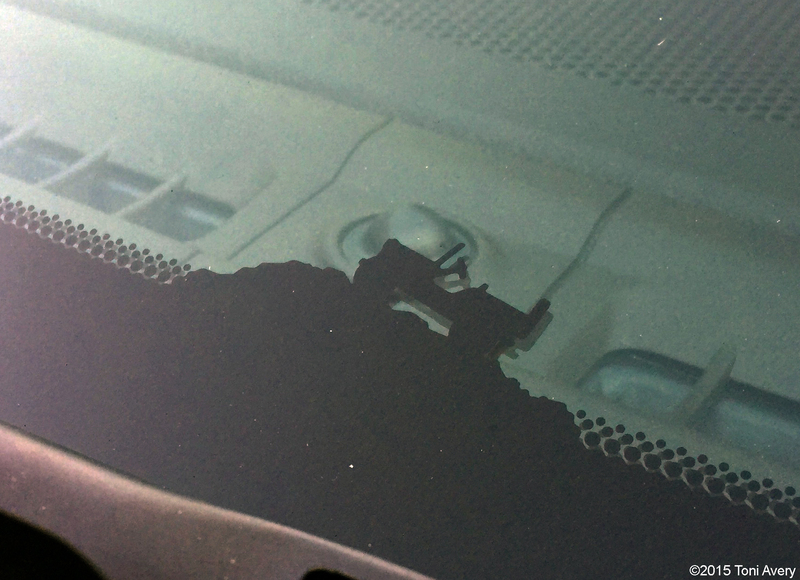 And when backing out of those spots was necessary, the backup camera did its job in preventing any incidents. The Power Liftgate (optional in the Comfort / Convenience Group) was probably the most helpful option to have when arms were too full or when time was sensitive for getting to the next event. I was also able to fit all my massive amounts of luggage in the trunk without needing to fold down the rear seats. I found the various storage compartments within the Jeep helpful too. The compartment within the front passenger seat made it easy and convenient to stow away items that I wouldn’t want visible inside the car. 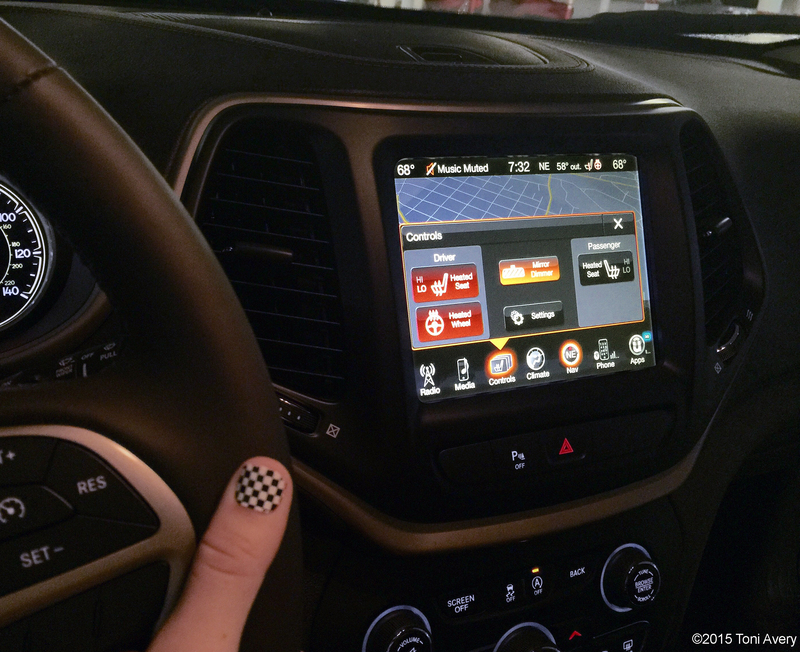 Another great feature was the heated steering wheel and drivers seat (optional in the Leather Interior Group). 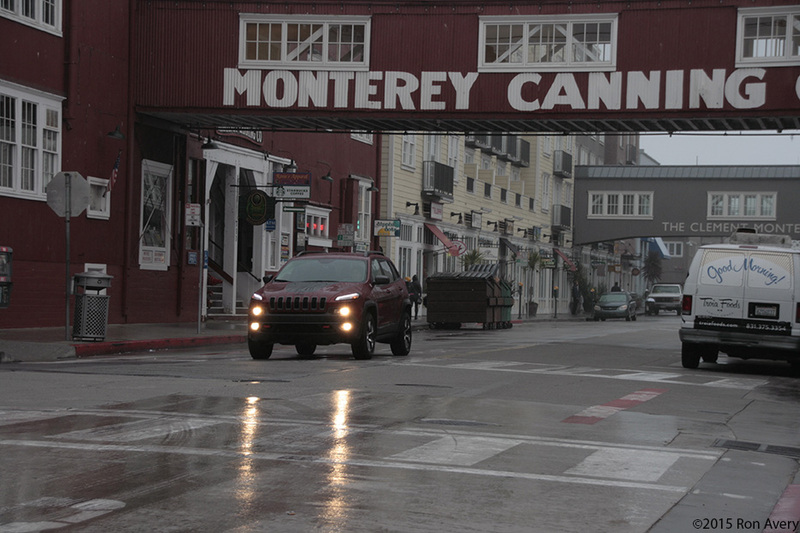 There were a few very chilly mornings in Monterey and those heaters sure came in handy. And of course I enjoyed using the Uconnect System as it worked flawlessly guiding me to and from events around the bay. 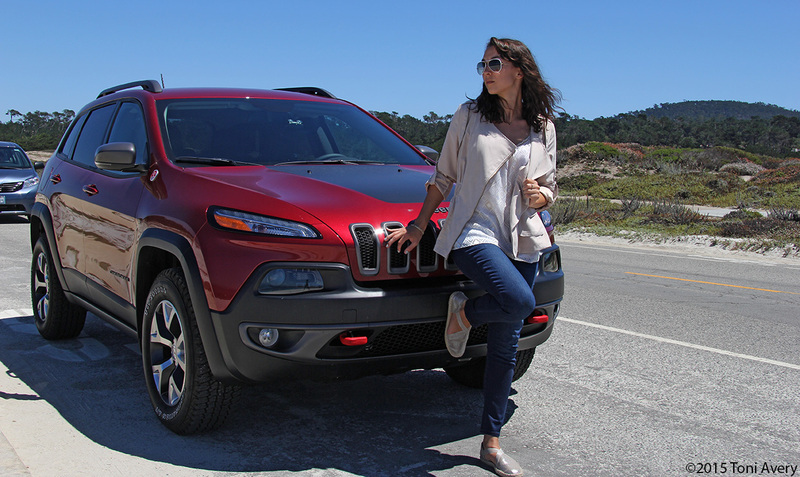 The 2015 Jeep Cherokee TrailHawk was a great car to have during the Monterey Car Week with its versatility, space and luxury conveniences.